Minior in game: 842 Who? Important notice! Pokemon Minior is a fictional character of humans. Minior (Japanese: ??? Meteno) is a dual-type Rock/Flying Pokémon introduced in Generation VII. Minior is a spherical Pokémon with two forms: one form with a rocky outer coating, and the other with its core exposed. 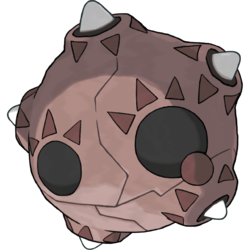 In its shielded form, Minior resembles a modestly sized rock. Its rocky exterior is formed by four large plates separated by two large cracks. The cracks encircle its body both horizontally and vertically. Five white spikes extend just above the rocky surface, giving it a star-shape. Two large, black spots on its front resemble eyes, and there is a third spot in the center of its back. Rings of dark brown triangles surround the holes its spikes protrude from and the spot on its back, pointing outward. One of the triangles surround the spot on its back is replaced with a small, brown dot. The eyespots have a half-ring of triangles resembling eyelashes. One eye has a small, brown dot in the corner. Even while apparently at rest, Minior tends to spin slowly in place. In its core form, Minior loses its rocky shell and its body is exposed. The core is a bright, pastel color. Depending on the color of debris it absorbed while in the stratosphere, Minior's core can be Red, Orange, Yellow, Green, Blue, Indigo or Violet. A handful of darker triangles are also visible on its body in random places. Minior's eyes and mouth are formed from energy that floats in front of its body like a two-dimensional mask. The eyes are two large swirls and the mouth a smaller line. Its face tends to stay level regardless of how Minior spins the rest of its body. Minior forms in the stratosphere from an aggregation of mutated nanoparticles, where it absorbs particulate matter from which it builds its core and shell. Eventually, this process makes it too heavy and it falls towards the surface of the planet. When its shell breaks, Minior becomes lighter and capable of attacking quickly, but it cannot survive for long with its core exposed. The cute, pastel coloring of Minior's core form often inspires designers to use it as a motif for clothing and accessories. 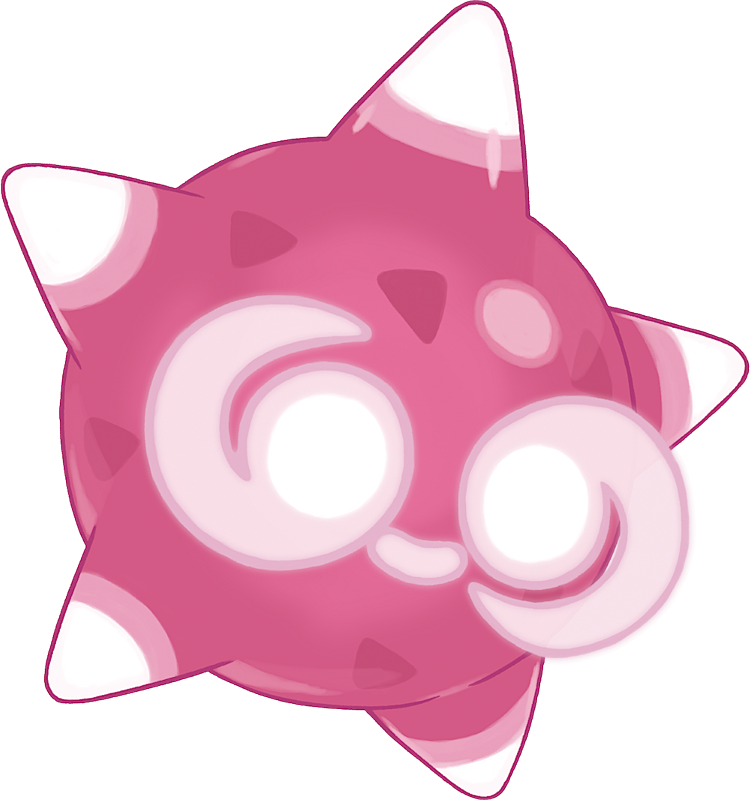 Minior Core Form is the lightest Rock-type Pokémon. Minior may be based on a meteor. In addition, it may take influence from the centuries-old Japanese candy, konpeito. These are sugary star-shaped candies that come in many different colors. Minior may be a combination of minor, mini, meteor, and junior. Reason: Missing other languages for Meteor Form and Core.